We are excited to put the Lost Planet 1/18 line on the front burner. The first stage development is being finalized, we are looking to launch the line in 2013. 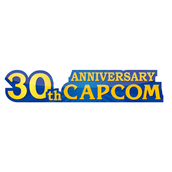 Firstly we wish to express our gratitude to Capcom licensing team, for their kind assistance to us throughout the process. Also, credits belong to our sculptor Nick and designer Eric. This project won’t see the light without their dedication. Their talent and experience made sure the design quality is on the right track. Last but not least, thank Lost Planet wiki, the go-to place for all kinds of knowledge about the Lost Planet franchise.